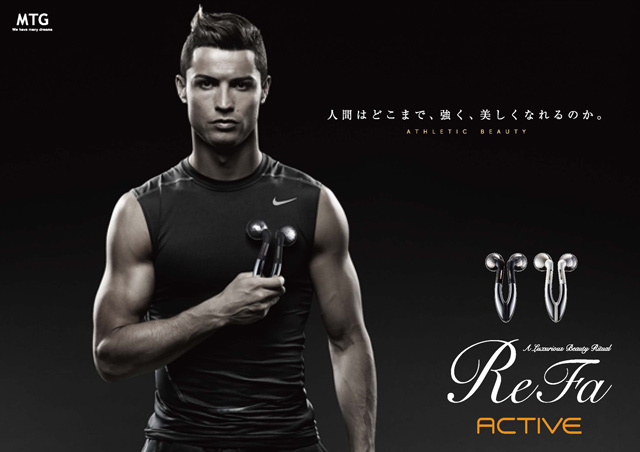 A sheepish-looking Cristiano Ronaldo was in Tokyo on Tuesday promoting an electric muscle stimulation machine, a year after he visited to push a smile-enhancing gadget that looked a little like a boomerang. The 30-year-old Real Madrid star emerged onto a Tokyo stage bathed in white smoke and blinding light. Then he just stood there for a while, looking uncomfortable, until he was joined by his sponsor and a translator. A slick video played on overhead screens showed Ronaldo’s well-toned form with the electric muscle toner attached to his torso. The company behind the device claims it is the easy way to achieve that desirable washboard look. Tuesday’s PR event came a year after the Portuguese player was mocked on social media for advertising a face exerciser that users were supposed to grip between their teeth as they nodded their heads to flap its extended arms. Despite numerous attempts by photographers and by TV talkshow hosts to make him do so, the well-paid superstar refused to put the device in his mouth. 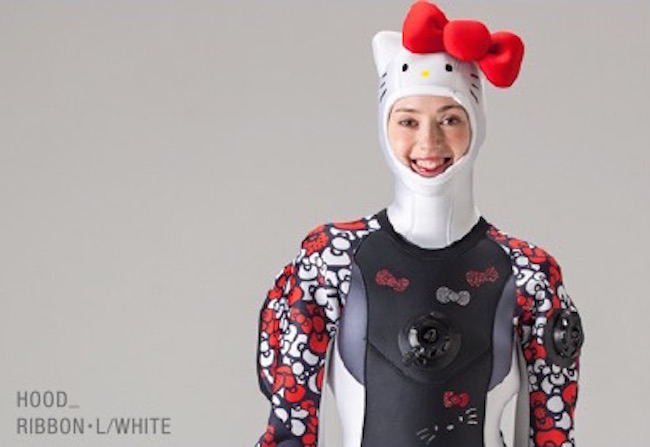 New to the Hello Kitty merchandise; Hello Kitty diving suit! 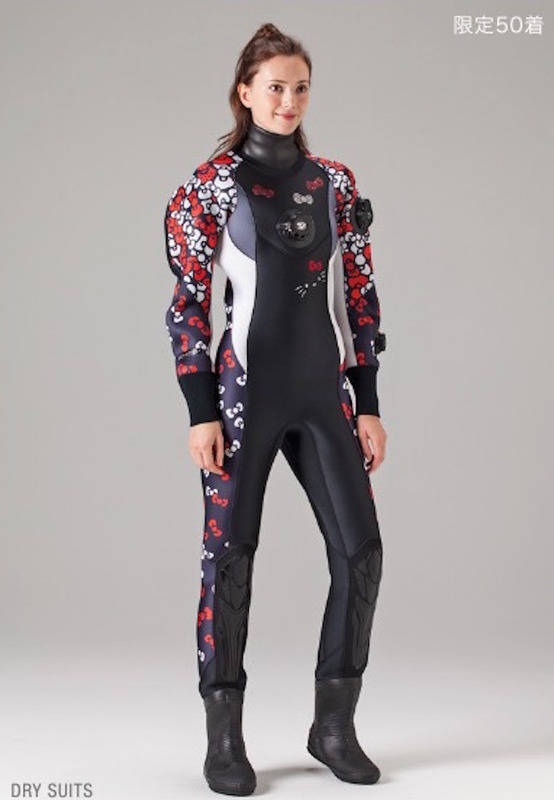 The full-body suit is a limited edition (of course! 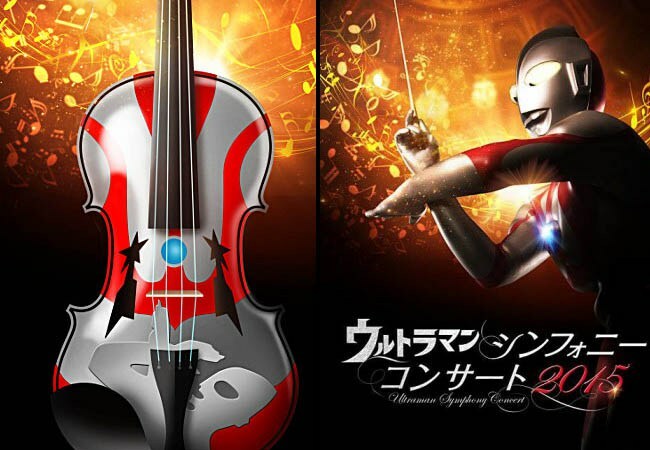 ), with only 50 being made, and retails at 349,000 yen (US $2822). No doubt, it’ll sell out quickly. 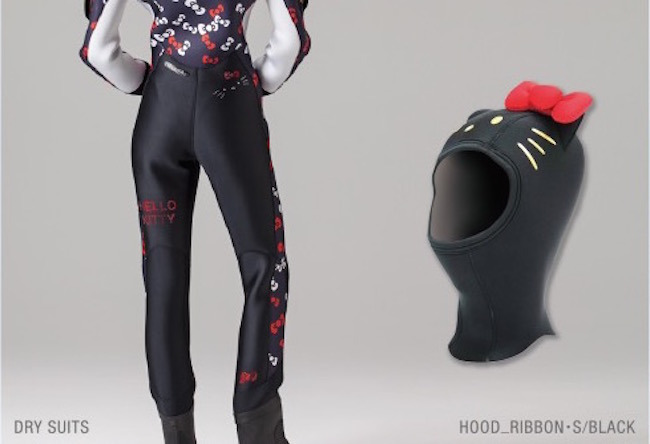 You can also purchase this Kitty-chan dive hood – which comes with a giant red bow on it – for a mere 28,800 yen ($234). 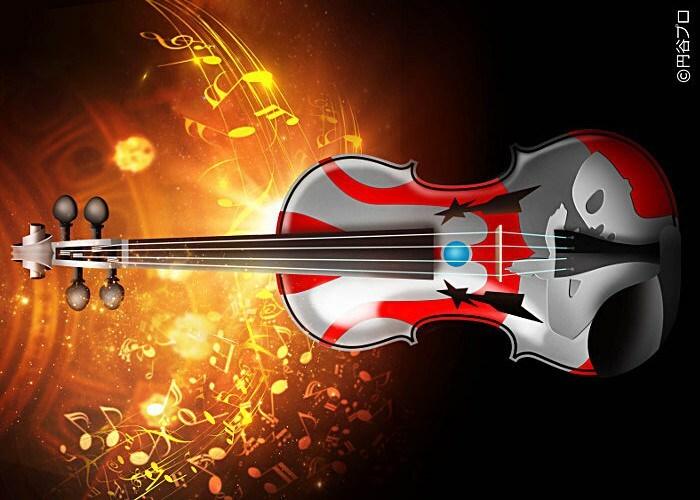 There’s a black one too, with a slightly less ridiculous bow (25,800 yen, $210). Anime, manga and video games are often associated with breasts, I still fondly remember the bouncing breasts of the Dead or Alive fighters….oops I’m getting of track here, anyway just check out any website which covers your favorite anime or manga and you’ll often find the stats of the female character, or like they say in Japan the “three sizes”,bust, waist and hip. Now you can add weight to that too….yes you’re reading that right, Valkyrie Drive http://valkyriedrive.jp/anime/?cat=Character lists the characters for the new upcoming anime Valkyrie Drive – Mermaid and their size stats. Mirei, which lists her at 168 centimeters tall and with a weight of 65 kilograms. Her bust/waist/hip measurements are given as 111, 65, and 94 centimeters, respectively, and her breasts are listed as large H-cups. Her weight is listed as 65kg and behind that is written between parentheses 3kg….which is the weight of her bust. The question is though, who has ever given thought about a girl’s breast weight…..are we in for a new trend?